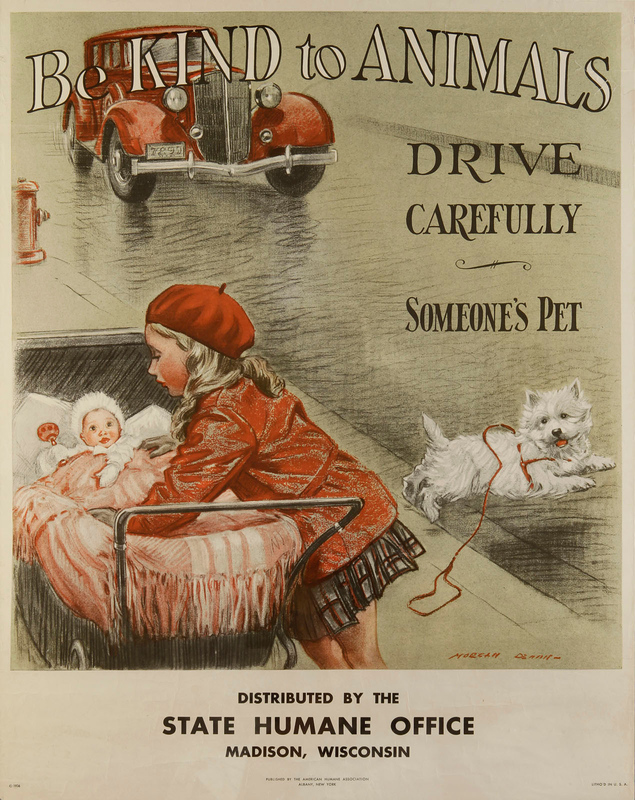 Morgan Dennis (1892-1960) was an American artist and writer who is most often remembered for his images of dogs. 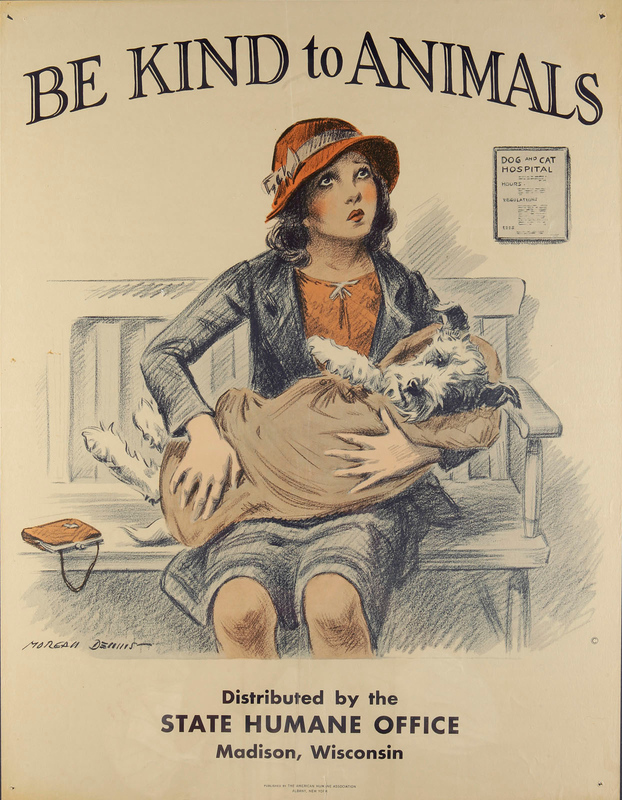 These posters, by Morgan Dennis, were produced for the American Humane Association’s Be Kind to Animals Week during the 1930s. The commemorative week was first observed in 1915, and several well-known artists of the time created artwork to promote it over its first few decades of life. 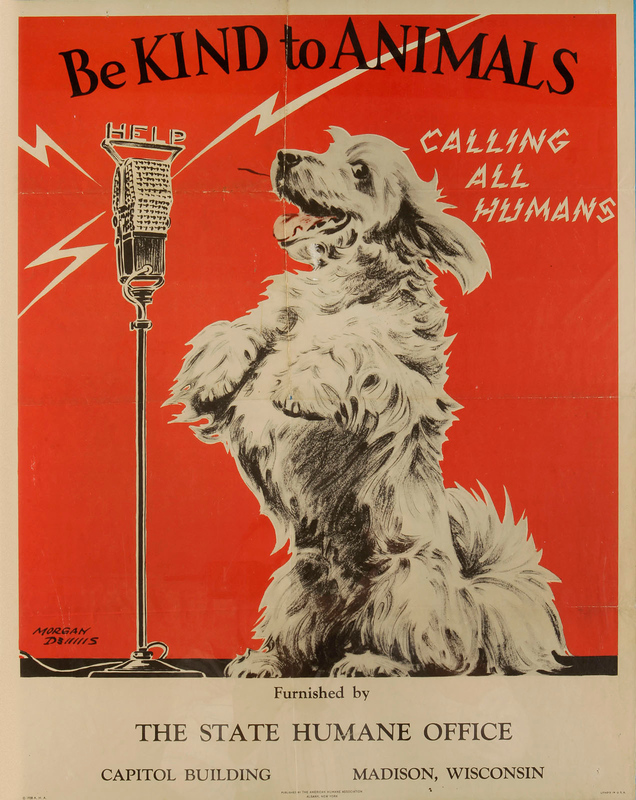 The national organization offered copies of posters like Dennis’ to local branches, leaving space at the bottom for their identifying information. 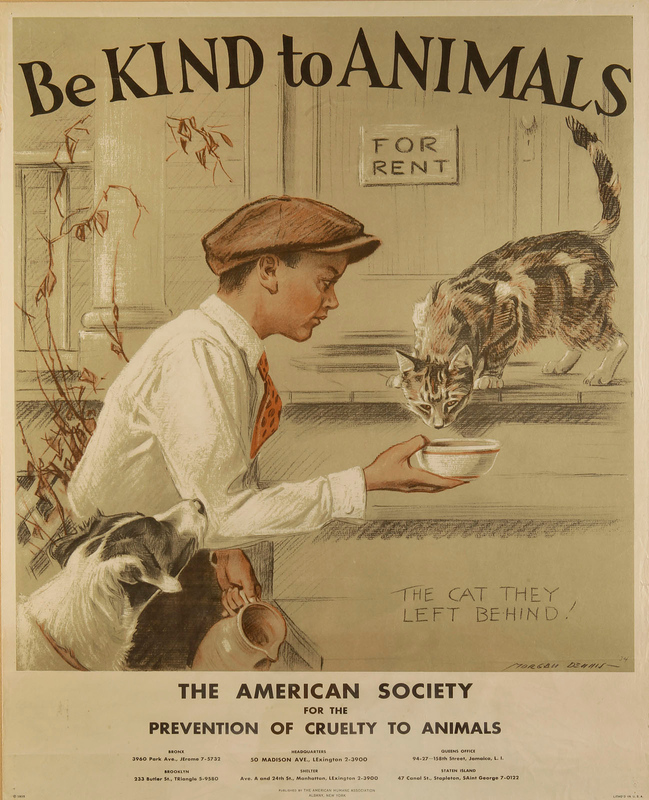 Each Dennis poster featured a child performing a kind act, reflecting the organization’s educational approach. 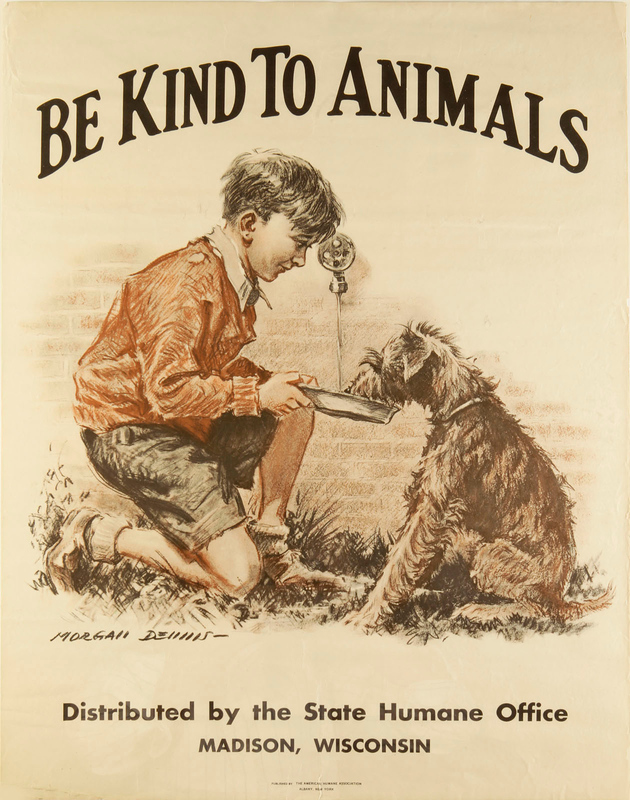 The Association’s timeline history of the week notes that in 1936 Shirley Temple was the junior chair of the Be Kind to Animals Week commemoration—a celebrity endorsement that further cemented the relationship between kindness to animals and childhood.